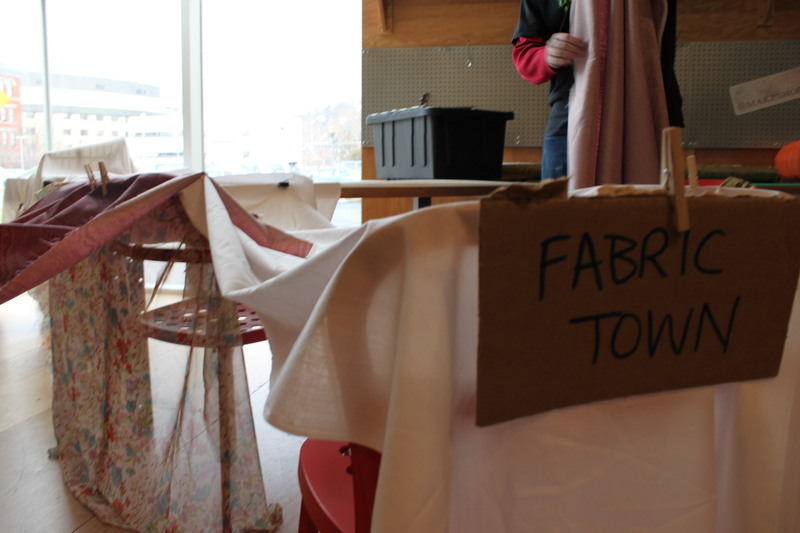 Fabric Fort, which contained large pieces of fabric, chairs, a table and lots of clothespins and binder clips. 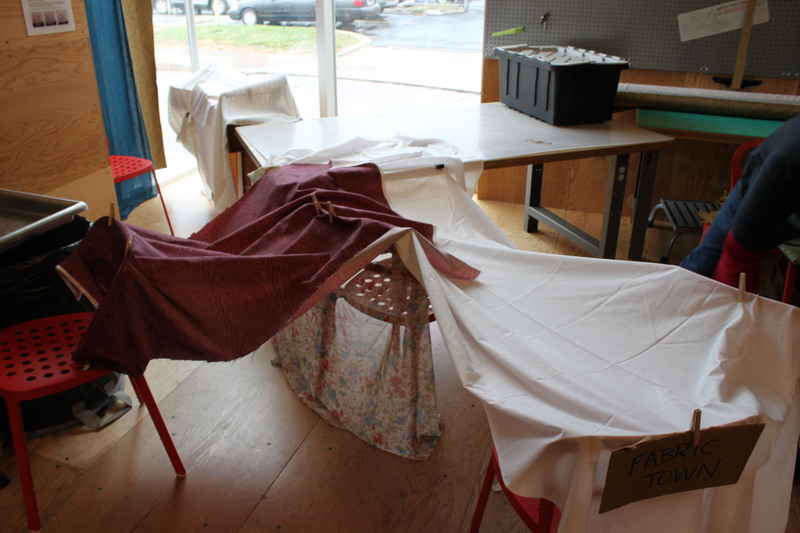 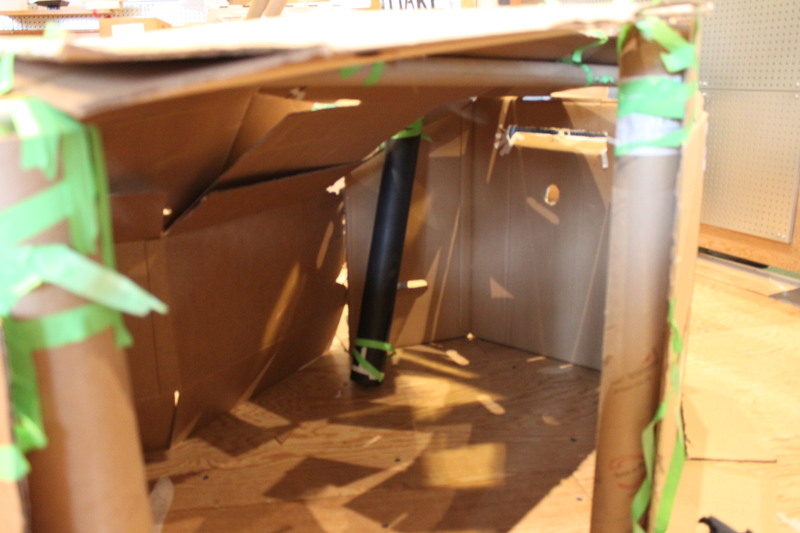 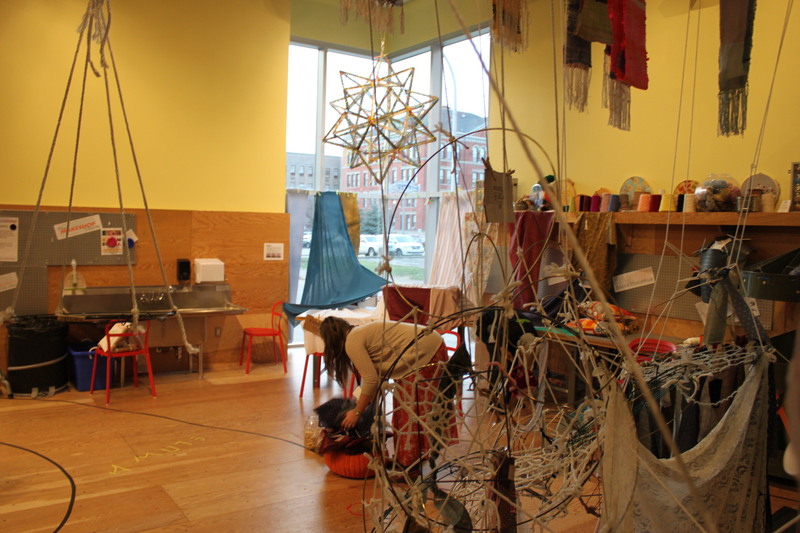 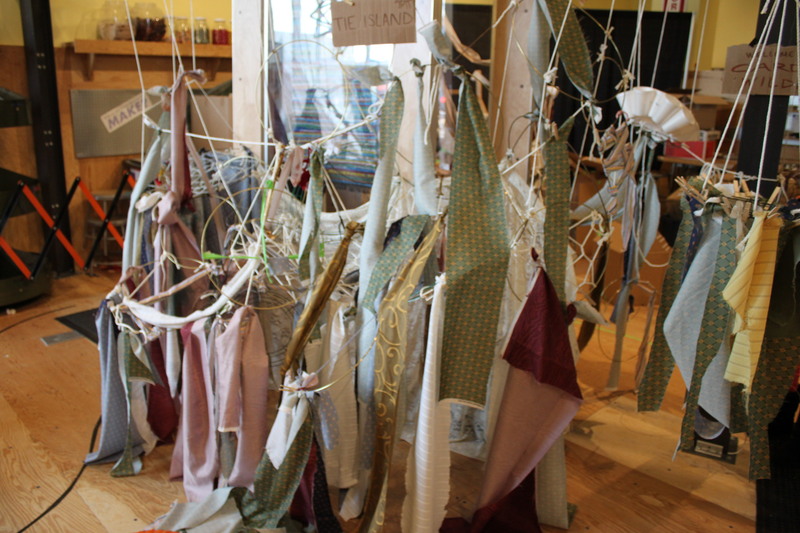 Visitors were encouraged to drape fabric and pin it in place to create tunnels and tents. 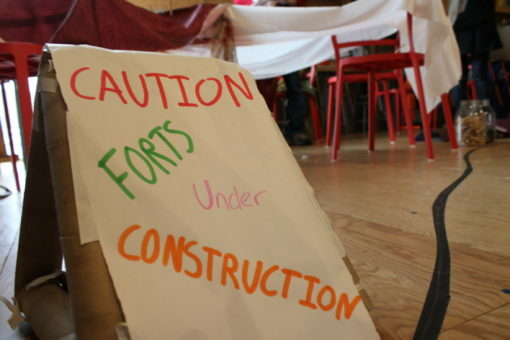 Fort Wood consisted of our Build-It pieces which is usually out for visitors to play with at all times during the year. 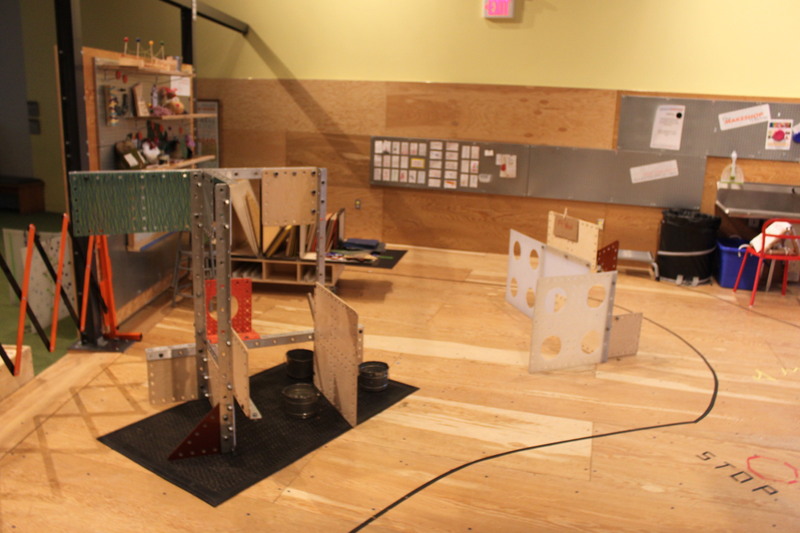 The Island utilized some of the beams running across the ceiling of MAKESHOP. 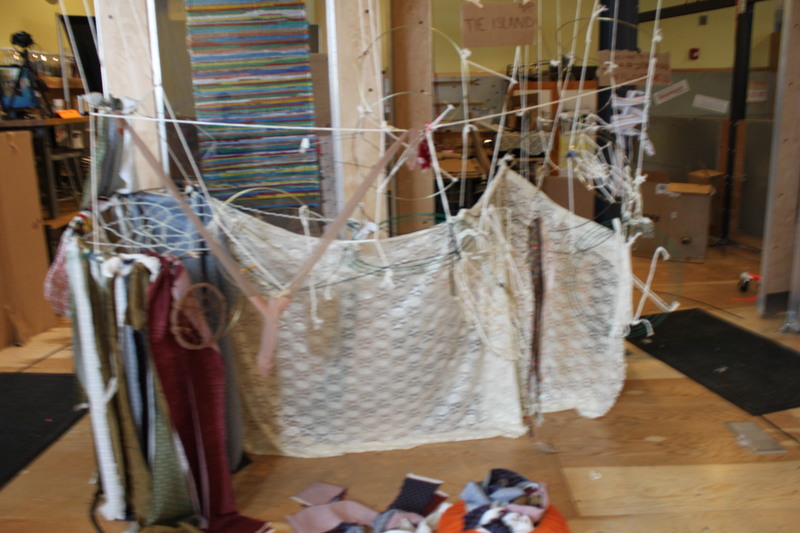 We strung rope, fabric and metal hoops to create a hanging fort. 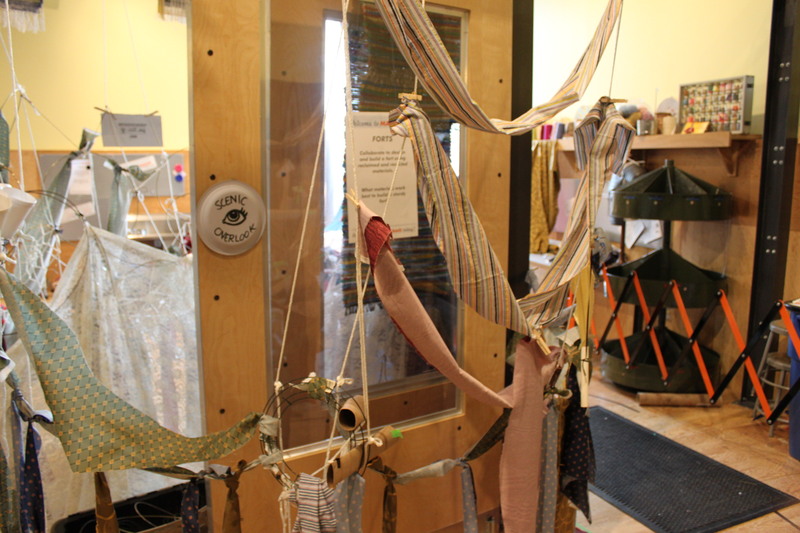 (This was my favorite). 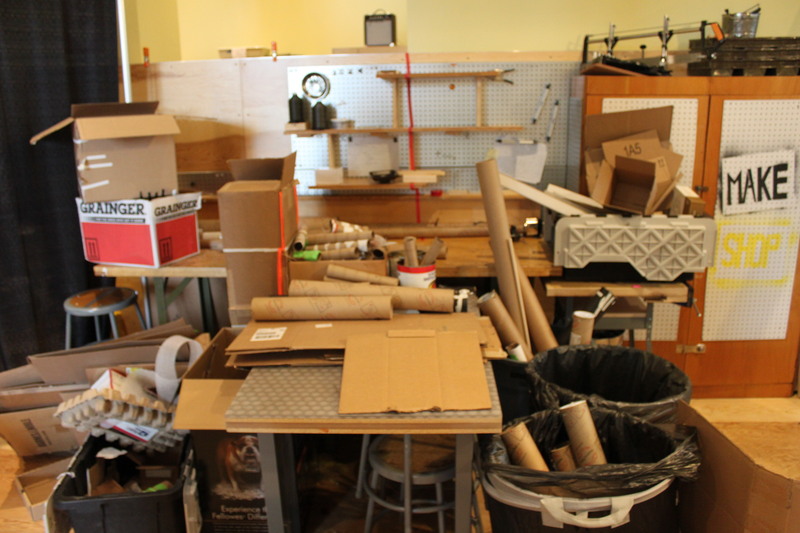 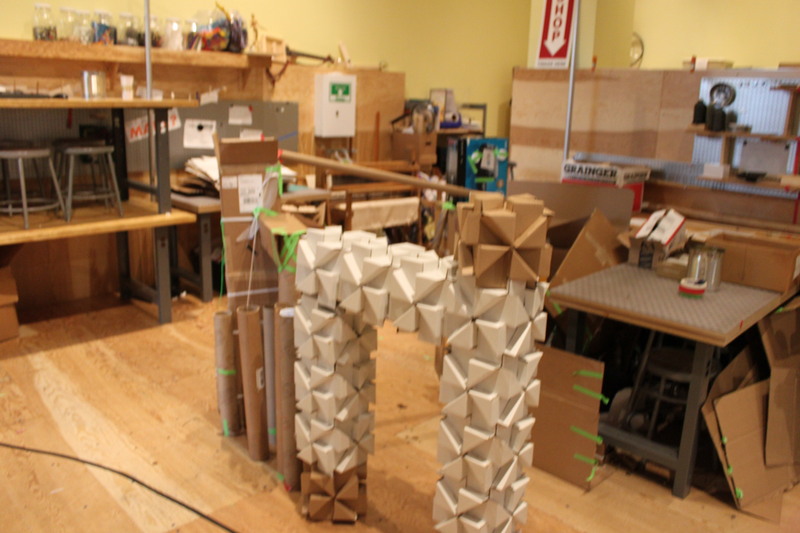 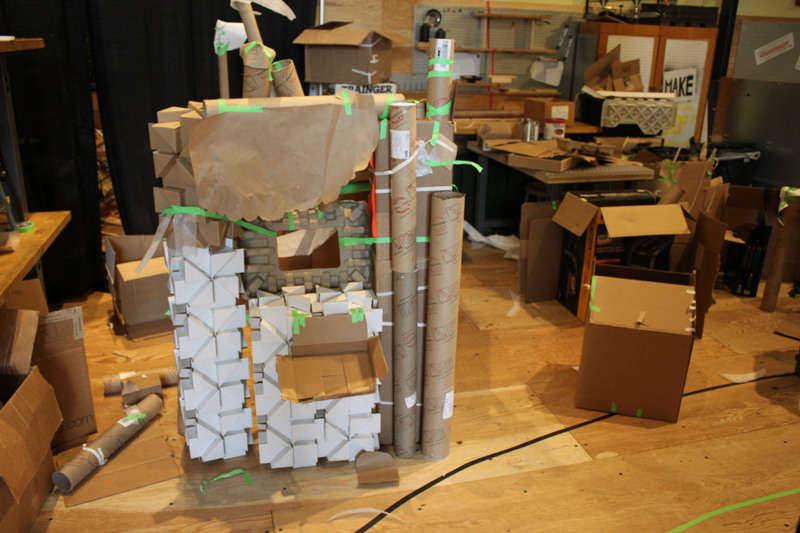 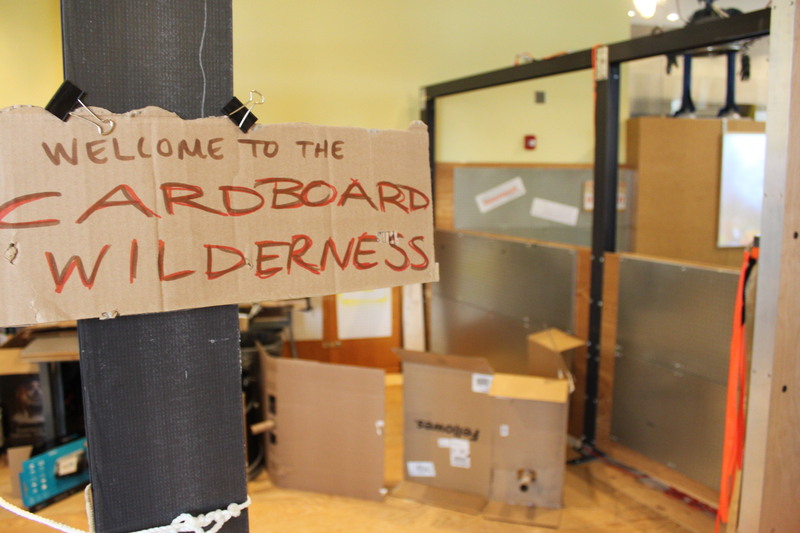 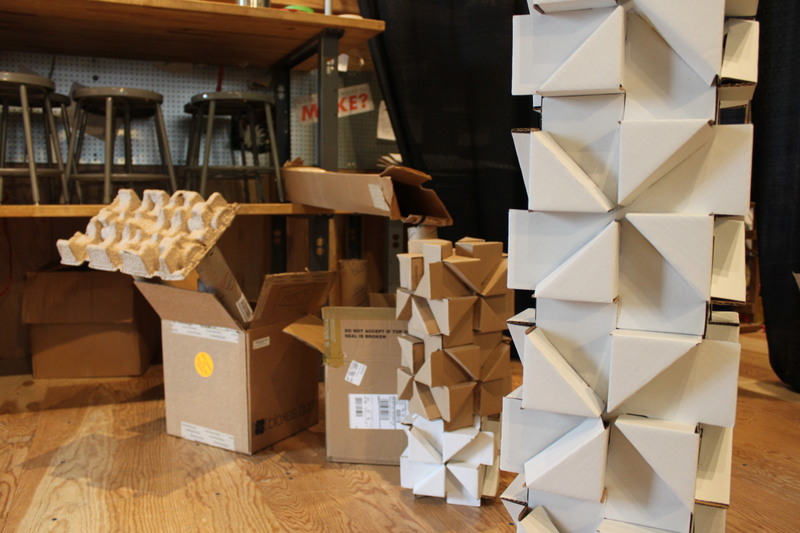 Cardboard Wilderness was full of giant boxes and large mailing tubes. 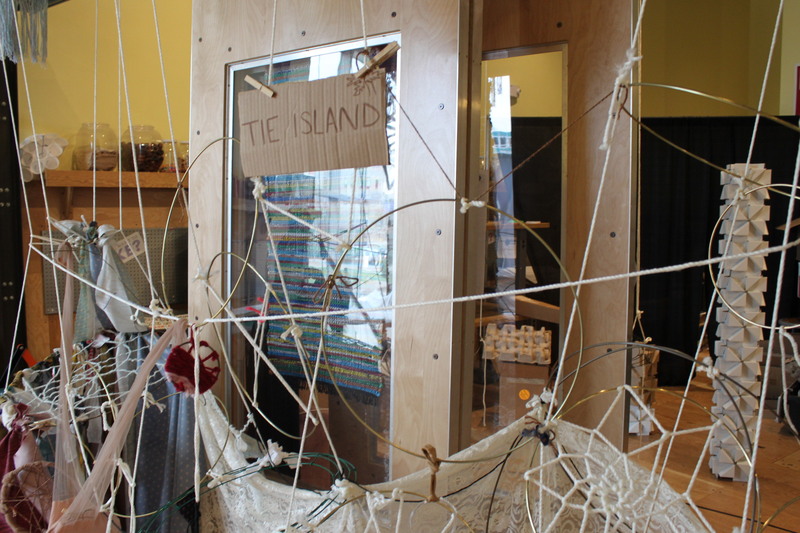 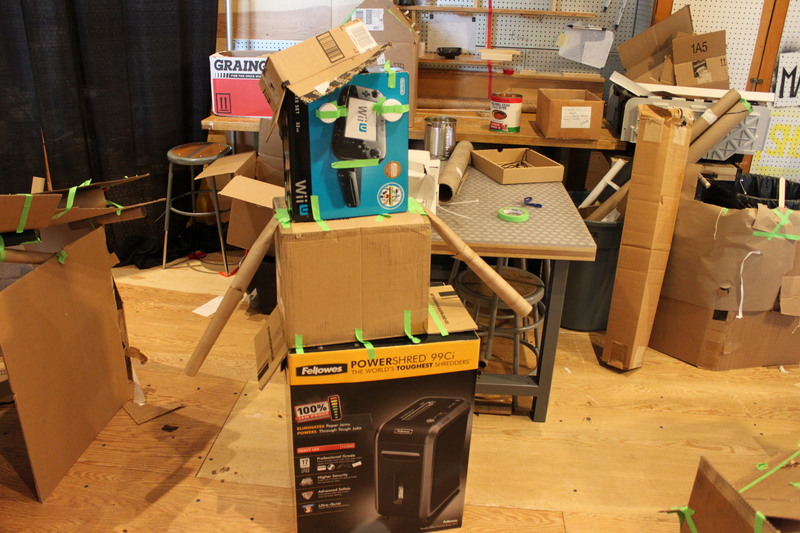 Visitors were able to stack, tape, and use whatever means necessary to create different structures. 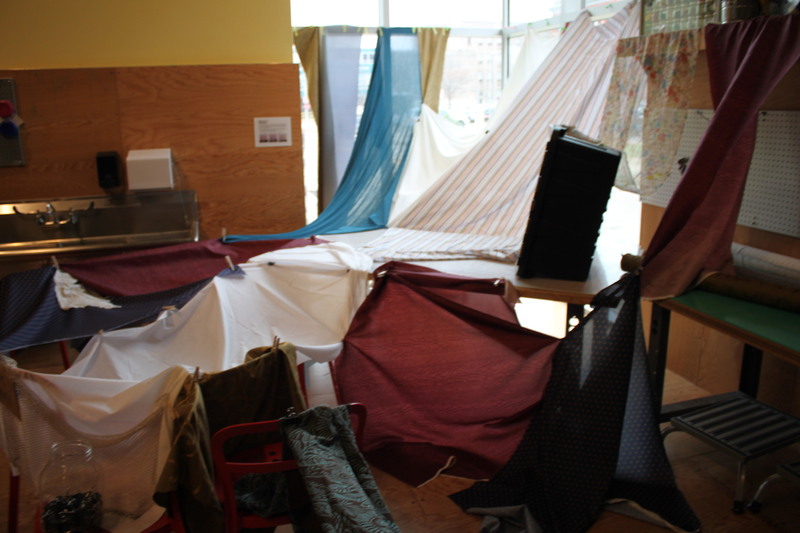 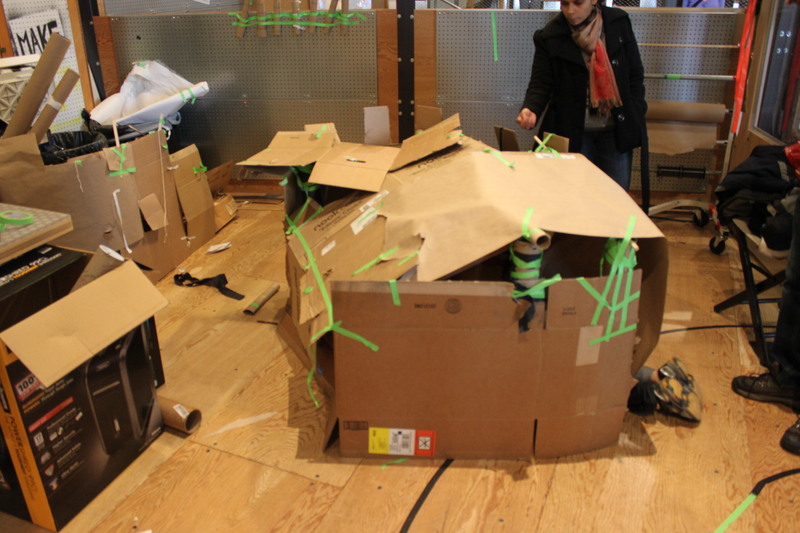 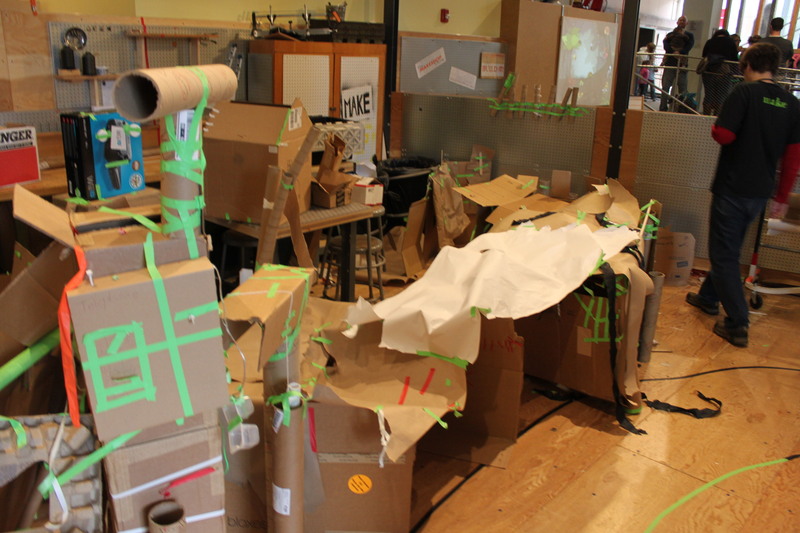 I had a really good time adding to and destroying all the different forts throughout the day. Our visitors seemed to really embrace the idea of creating something large for other visitors to admire, play in, and build (or destroy). 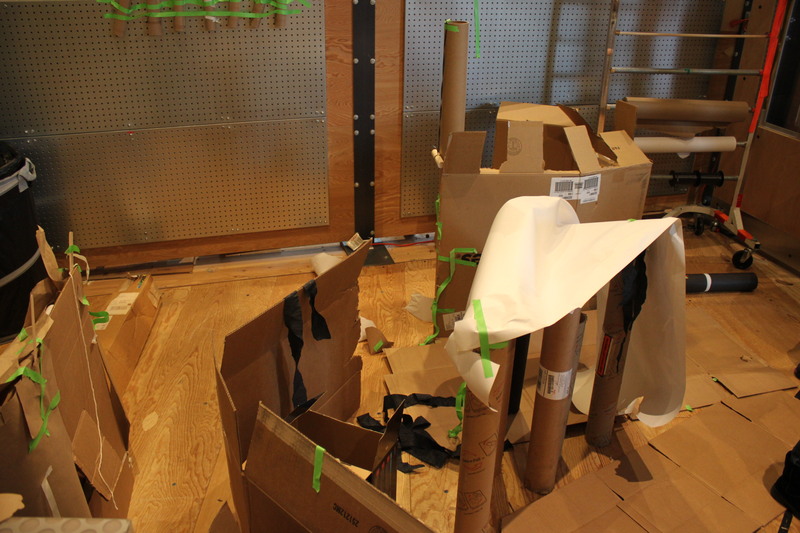 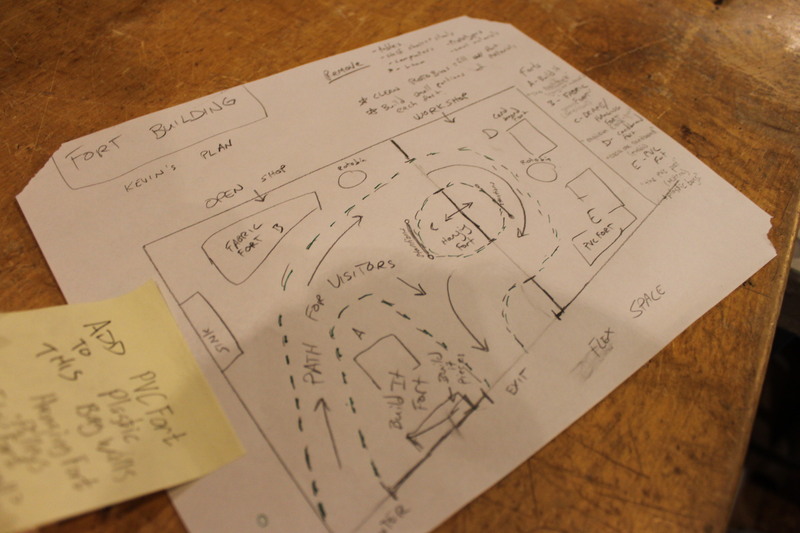 I really like it when we attempt these ambitious, collaborative projects. 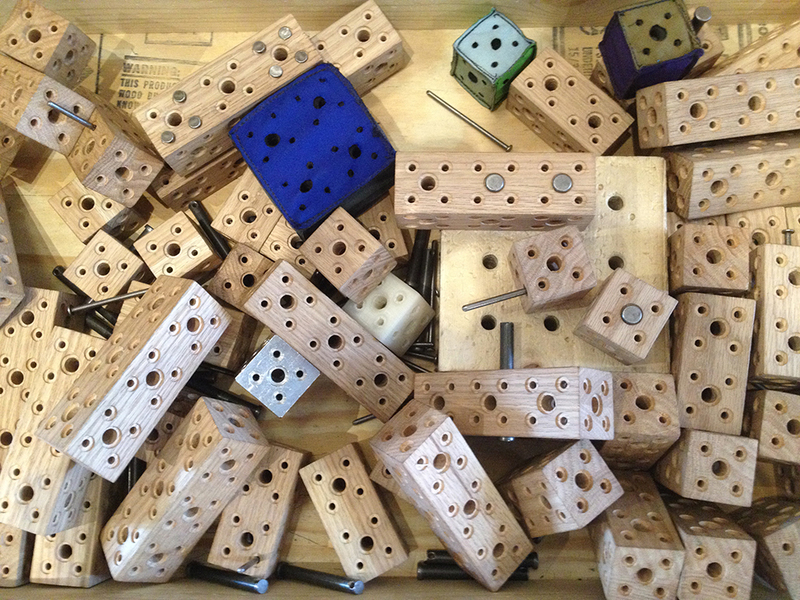 You never know how it is going to go…but that’s half the fun. 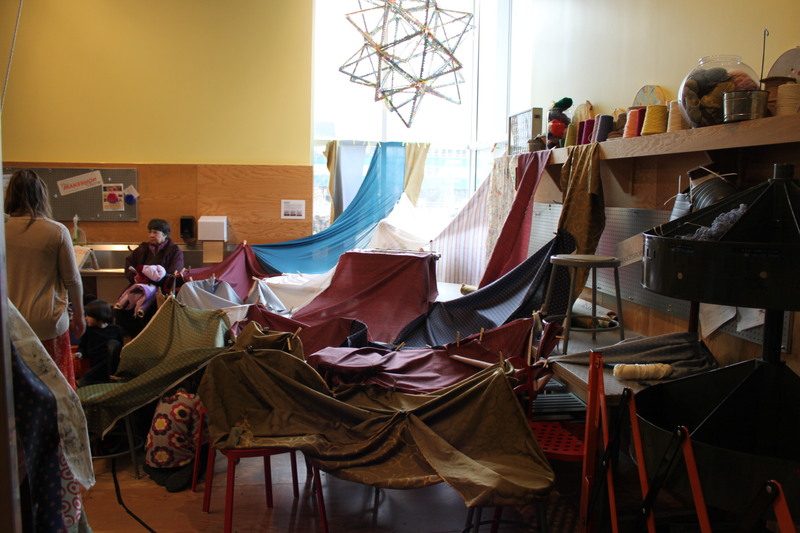 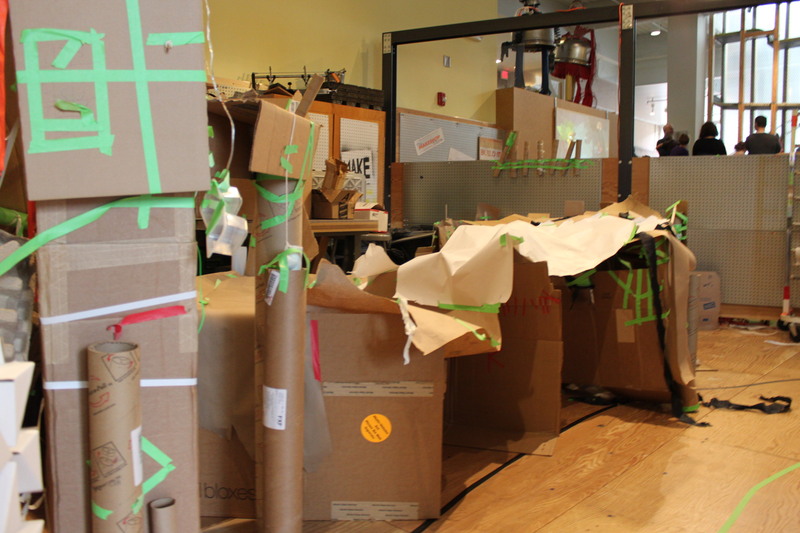 Thanks to everyone that added to or simply enjoy all of our forts over the Thanksgiving Break. 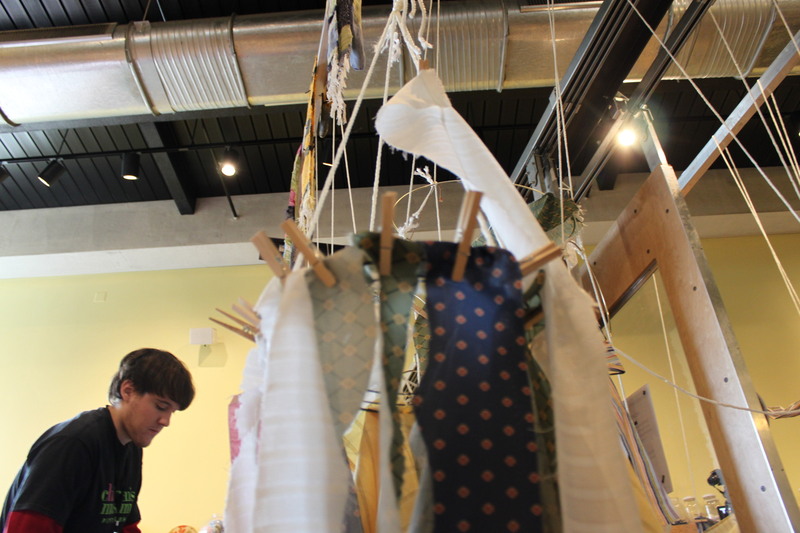 Check back for future collaborative projects!